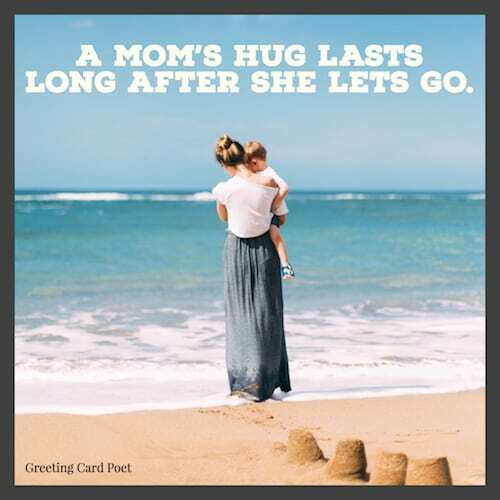 Loving mom quotes reflect the importance of most of ours’ first relationship in the world. Everyone owes their existence to their mother. And you should never be too shy to express your love and her importance, not only to you, but to the world. It would be difficult to argue that Motherhood is not the most important job in the world. Let those mothers know that you appreciate them. You might like these Mother’s Day pages as well. Only mothers can think of the future because they give birth to it in their children. She sacrifices her dream to make my dream come true. 24/7: Once you sign on to be a mother, that’s the only shift they offer. He that would the daughter win must with the mother first begin. She is beautiful, softened at the edges and tempered with a spine of steel. I want to grow old and be like her. A mother who radiates self-love and self-acceptance actually vaccinates her daughter against low self-esteem. One of the most important relationships we’ll have is the relationship we have with our mothers. The more a daughter knows the details of her mother’s life the stronger the daughter. Throughout her life a mother retains this special need to maintain a good relationship with her daughter. And mothers are their daughters’ role model, their biological and emotional road map, the arbiter of all their relationships. My mother is the bones of my spine, keeping me straight and true. She is my blood, making sure it runs rich and strong. She is the beating of my heart. I cannot now imagine a life without her. 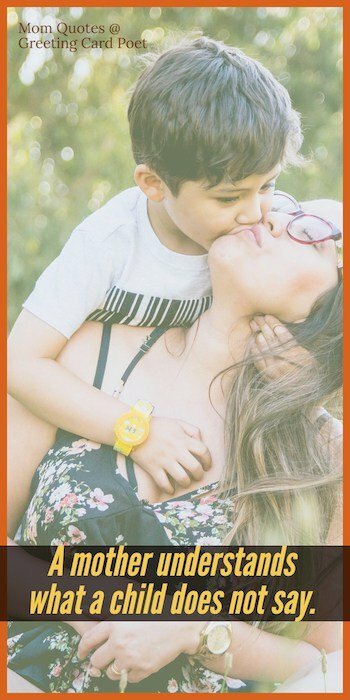 Being a single mother is twice the work, twice the stress, and twice the tears, but also twice the hugs, twice the love, and twice the pride. I didn’t plan on being a single mom, but you have to deal with the cards you are dealt the best way you can. I’m a single parent. What’s your super power? It takes a strong person to be a single parent and take on two roles. You are amazing in your child’s eyes, so never forget that. Love your mother, the most beautiful person on this earth. Call your mother. Tell her you love her. Remember, you’re the only person who knows what her heart sounds like from the inside. I believe in love at first sight because I’ve been loving my Mom since I opened my eyes. Not even the best of thieves could still the mother’s love for a child. I need to say, I love you Mom. A mother’s love is patient and forgiving when all others are forsaking. It never fails or falters, even though the heart is breaking. All the forces on this planet will never beat that of a mother’s love. A miracle is really the only way to describe motherhood and giving birth. It is composed of two characters. The first means pain; the second means love. That is a mother’s love. Mothers are the fountain of creation. I believe the choice to become a mother is the choice to become one of the greatest spiritual teachers there is. Motherhood is the biggest gamble in the world. It is the glorious life force. It’s huge and scary—it’s an act of infinite optimism. Birth is the epicenter of women’s power. Having kids—the responsibility of rearing good, kind, ethical, responsible human beings—is the biggest job anyone can embark on. Youth fades; love droops; the leaves of friendship fall; a mother’s secret hope outlives them all. Babies are bits of star-dust blown from the hand of God. Lucky the woman who knows the pangs of birth for she has held a star. Neurotics build castles in the air; psychotics live in them. My mother cleans them. Behind every Mom is a basket of dirty laundry. 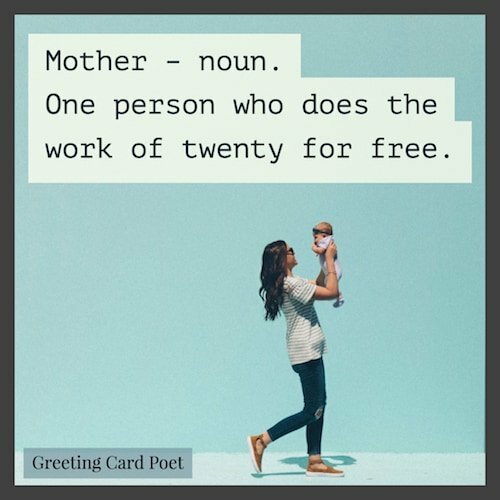 Mother – noun. One person who does the work of twenty for free. Moms. They are like dads, only smarter. Motherhood: Powered by love. Fueled by coffee. Sustained by wine. The way I feel, if the kids are still alive when my husband gets home from work, I’ve done my job. Mom: The amazing ability to hear a sneeze through closed doors, in the middle of the night, 3 bedrooms away… While daddy snores next to you. Nothing is really lost until mom can’t find it. My mother’s menu consisted of two choices: Take it or leave it. I know how to do anything, I’m a mom. I am your Mom. Your argument is invalid. If at first you don’t succeed, try doing it the way Mom told you to in the beginning. 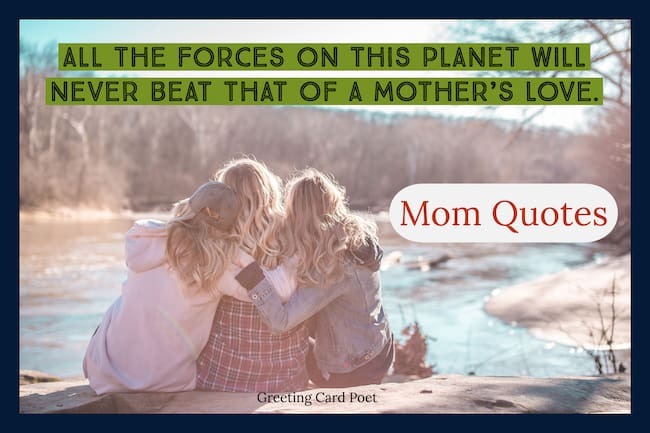 You’re on beautiful mom quotes page.